Four professors are members of LIF and currently supervise a dozen students of all cycles. In total, since its inception, more than 30 students have worked at LIF, coming from places as diverse as Québec, France, China and Africa. Sylvain Hallé, Ph.D. is the Canada Research Chair on Software Specification, Testing and Verification and Full Professor in the Department of Computer Science and Mathematics at UQAC, where he has been working since 2010. He obtained a Ph.D. in Computer Science from Université du Québec à Montréal (UQAM) and has worked as a postdoctoral research fellow at University of California, Santa Barbara, from 2008 to 2010. Pr. Hallé has received numerous international awards for his research on software testing and verification, and earned two Governor General of Canada’s Academic Medals, in 1997 and 2009. Notably, he is the author and leader of the BeepBeep project, a lightweight event stream processing library used for runtime verification and testing, and of Cornipickle, a test oracle for user interfaces in web applications. Raphaël Khoury, Ph.D. is an Associate Professor in the Department of Computer Science and Mathematics at UQAC since 2014. Pr. Khoury has worked for three years as a postdoctoral researcher at DRDC Valcartier, a research and development center for the Canadian Defence. His expertise is centered around computer security, and in particular the real-time detection of attacks and security flaws in computer systems. Fábio Petrillo, Ph.D. is an Associate Professor in the Department of Computer Science and Mathematics at UQAC since 2017. He has been recognized as a pioneer and an international reference on digital games and software engineering. Further, he was the creator of Swarm Debugging, a new collaborative approach to support debugging activities. Pr. 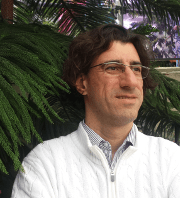 Petrillo has worked on Empirical Software Engineering, Software Quality, and Architecture, Debugging, Service-Oriented Architecture, RESTful analysis on Cloud, Agile methods. Sébastien Gaboury, Ph.D. is an Associate Professor in the Department of Computer Science and Mathematics at UQAC since 2012. He has authored close to a hundred research papers in international journals and conferences. Pr. Gaboury was the recipient of the Governor General of Canada’s Academic Medal in 2013 for his doctoral work in fundamental mathematics. The contribution of our graduate and undergraduate students is crucial. All of LIF’s research projects also have an academic component that benefits to all the students that contribute to them.